Located right here in our Lakeview neighborhood, Headquarters gives its guests a taste of the past, while staying cool and modern at the same time. 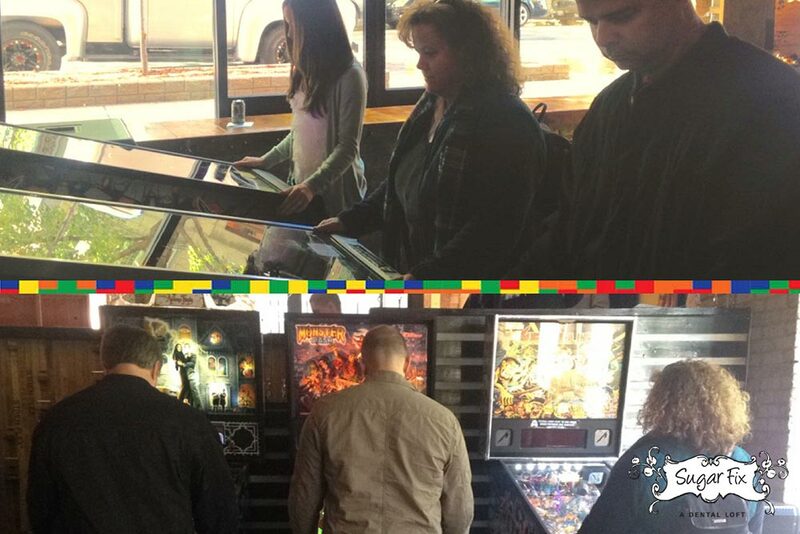 I had been wanting to visit this “beercade” since moving to Chicago, and I figured it would be a great way to spend an afternoon with my husband and parents. We were amazed at the size of the place, and my dad was thoroughly impressed with the selection of old-school pinball machines and arcade games. From classics like Frogger, Donkey Kong, Tetris, and Pac-Man to games that young adults will love including Transformers, Mortal Kombat, Avengers, and NBA Jam, this place has something that everyone will enjoy! The hallway separating the two main rooms is lined with vintage Nintendo games, which serve as the “wallpaper” for the space. The next time you’re looking for a unique and fun way to unwind with your friends and family, check out Headquarters. Headquarters has two locations in Chicago. You can reach them (773)665-5660, or visit their website.